Congratulations are in order for Forgetting the Girl hairstylist Lisa Dellechiaie. 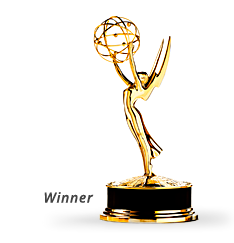 She won an Emmy for hairstyling on Boardwalk Empire. The win was well-deserved as far as we’re concerned, she’s is an amazingly talented artist, and we were lucky to have her on our team. We expect to see more awards in her future. We are happy to announce that Forgetting the Girl has won an Award of Excellence at The Indie Fest. We are very pleased to announce that Forgetting the Girl won a Gold Remi Award in the Suspense/Thriller category at WorldFest-Houston 2012.